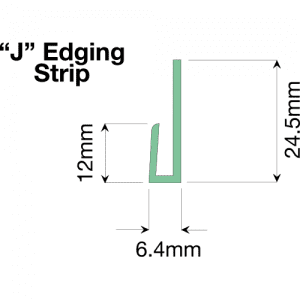 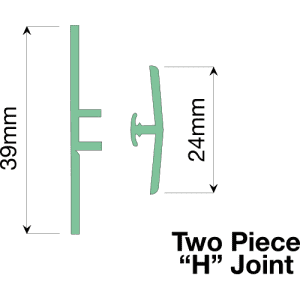 A “J” section edging strip is typically used to finish an exposed edge or junction with a tile or ceiling. 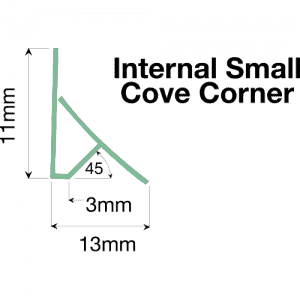 Available in 2.44mt & 3.05mt lengths. 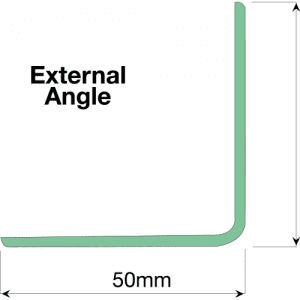 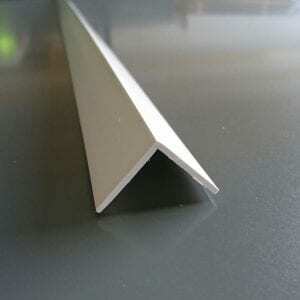 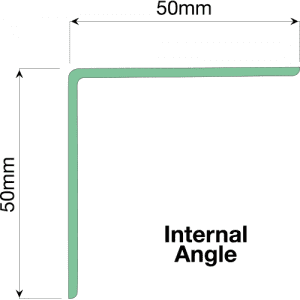 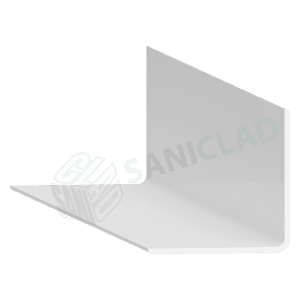 Used as an Internal or External PVC corner, this is a 25mm x 25mm universal angle. 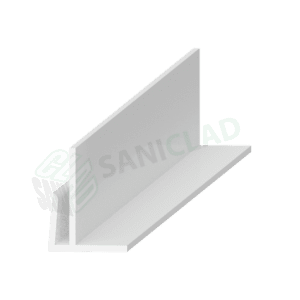 Height 2.44mt, to install apply a single bead of SaniBond 300 along the full length and push into place. 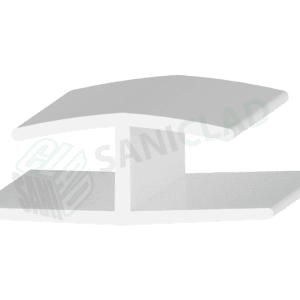 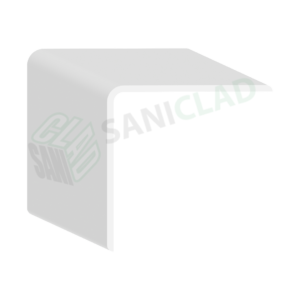 A single part “H” section is designed to join the base of our hygienic sheet to a vinyl floor, it has a groove on the back of the profile which when folded over allows for the removal of half of the back, this design allows the flooring to fit in easily. 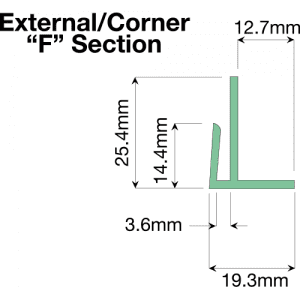 The F profile angle is used to cover external corners; one side has a groove that slides onto the sheet the other side of the angle covers the sheet. 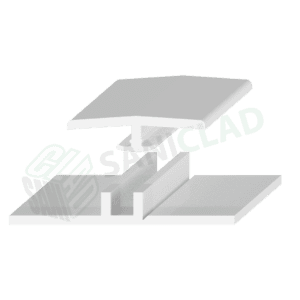 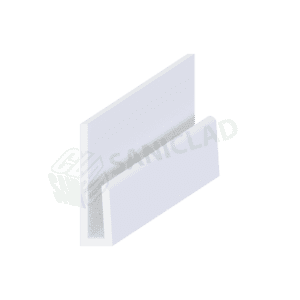 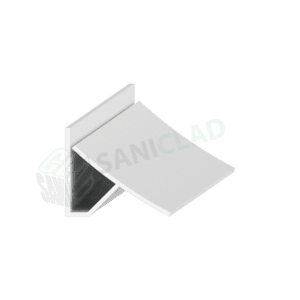 A two-part H section joining trim is used to join Saniclad sheets together, it has an antimicrobial gasket seal on the top section which effectively eliminates 99.9% of bacteria’s. 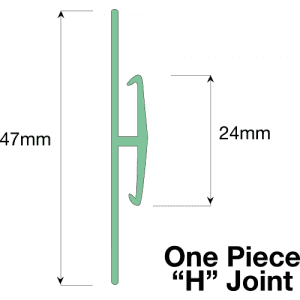 A two-part H section allows the installer to set out the expansion gap.